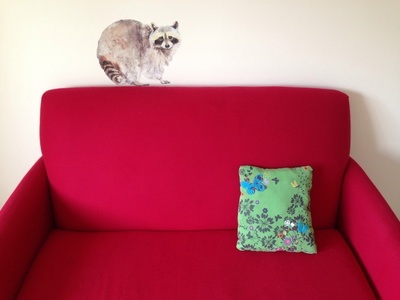 Here's how to make a cushion out of an old TShirt. 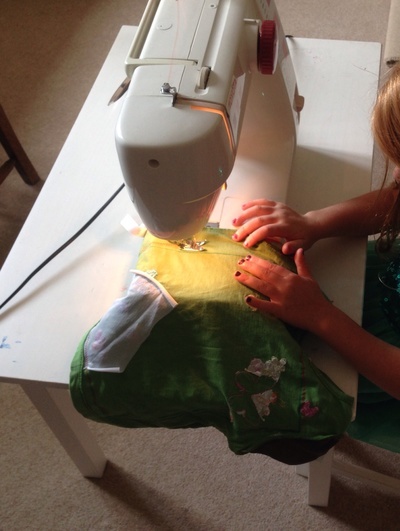 It's an easy first machine sewing project for kids and a fun way to recycle. 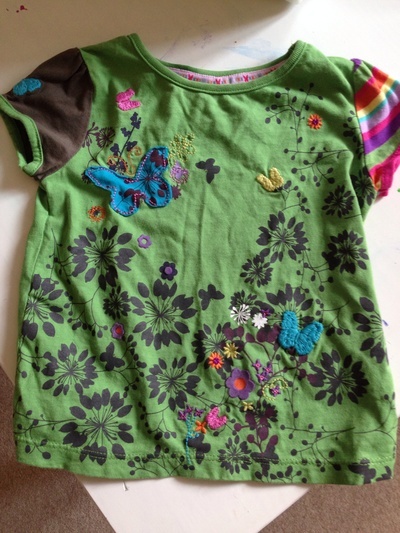 We started off with a small kids TShirt which had pretty butterflies and flowers embroidered onto the front. You could also use a plain TShirt and sew on other decorations later. 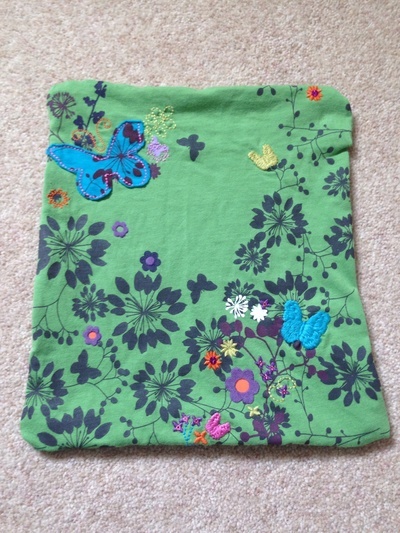 Turn the TShirt inside out and draw the shape of your cushion on with a pen. 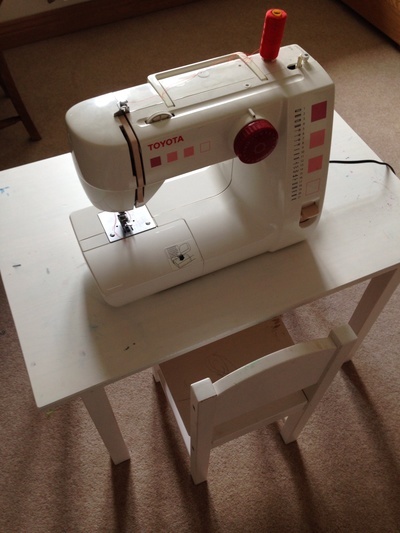 Sew around the pen outline using the sewing machine. 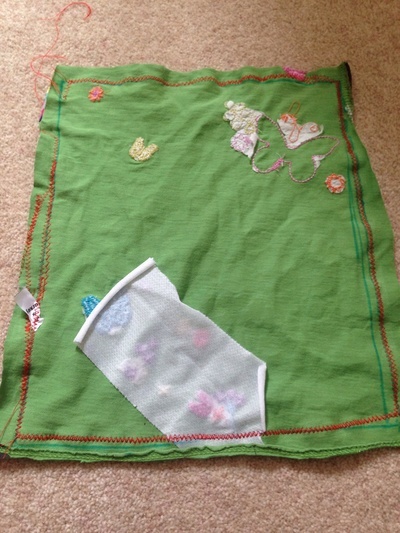 Leave a section unsewn (at least 5 cm length). 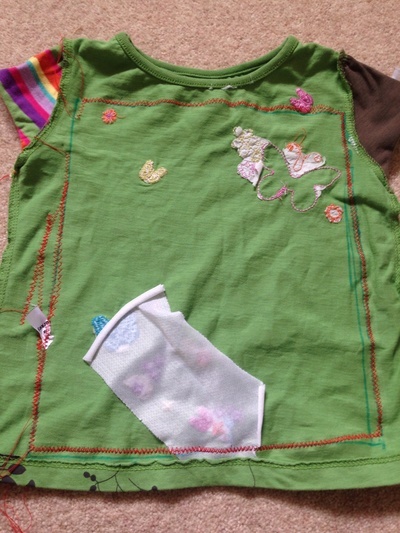 Trim around the outside edge of the sewn lines, cutting the arms etc off the TShirt. 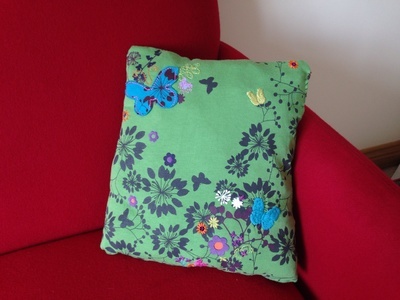 Make sure you leave at least a centimetre border around the stitching. 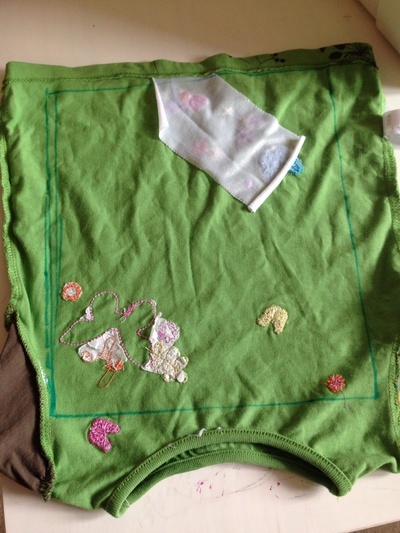 Now turn the right way round again, reversing the TShirt through the unsewn section hole. Stuff the cushion with pieces of wadding through the unsewn hole. Keep going until your cushion feels nicely padded. 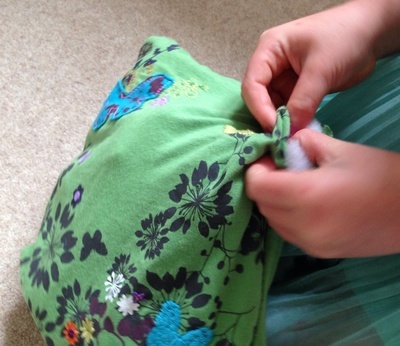 Sew up the gap by hand using a needle and thread. Your cushion is now ready to use and admire! Please share a photo of your creation by uploading a picture in the comments section.